A self-taught artist with little formal schooling, Maseko began painting in 1959. These early works are painterly examples of everyday scenes that recall Ephraim Ngatane (qv. ), and to a lesser extent Louis Maqhubela (qv. ), both of whom were Maseko’s contemporaries. They are dated 1964 (plate 120) and 1968 (plate 121). The latter work shows his departure from a realist idiom to a more abstract one. The work of 1968 is clearly a township or urban scene that was mistitled as Children in a wooded landscape. It is an almost abstract painting from an era where formal experimentation had not yet become formalised cliché. As such, these works are interesting not only because of their successful synthesis of naturalism and abstraction, but also because they precede the development of ‘township art’ as a stylistic idiom. 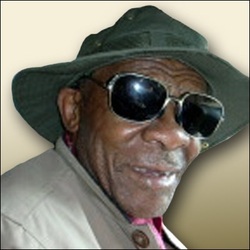 Born 1940, Johannesburg; died 2008. Training Self-taught as an artist. Exhibitions c.1960–1988: Participation in several group exhibitions in both South Africa and Swaziland. 1970: Solo exhibition, Gallery 101, Johannesburg. 1973: Solo exhibition, Hilton Hotel, Denver, Colorado, USA; Solo exhibition, West Germany. Collections Collection of King Goodwill Zwelethini; Pelmama Collection; De Beers Centenary Art Gallery, University of Fort Hare. Maseko was first repesented in the Campbell Smith Collection by two small works on paper (see ReVisions, plates 120, 121; pp. 158-59), to which can now be added this oil painting (plate 25). As in these smaller works this oil painting demonstrates this artist’s spontaneous and informal approach to his subject, even on a larger scale and in a different medium. Maseko depicts an open and disordely space, so typical of ‘informal’ settements. It should be remembered that the ‘township’ landscape changed in the 1960s and 1970s from the more orderly configuration of the so-called built ‘locations’ of earlier periods, to a chaotic configuration of shack dwellings, largely because of the effects of forced removals. Mamelodi forms part of the Tshwane Metropolitan Municipality, and was a township established by the apartheid government to the northeast of Pretoria. It began when 16 houses were first built on the farm Vlakfontein in June 1953. Later, the name of the area was changed to ‘Mamelodi’, an apellation given to President Paul Kruger by the indigenous people because of his ability to whistle and imitate birds. It also means the ‘Mother of Melodies’. In the 1960s forced removals from the suburb of Lady Selbourne in Pretoria swelled the population of Mamelodi, which has since expanded exponentially.